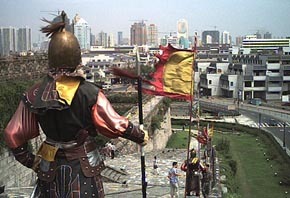 Nanjing is a former capital a few hours from Shanghai. We stand atop one of the best-preserved ancient city gates in the world. 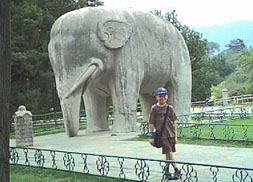 Andrew is watched by an elephant who has guarded Nanjing’s Ming tombs since the 1400s. 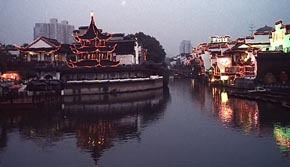 Charming Old Nanjing is popular at dusk.